Since its discovery approximately 600 years ago, coffee has evolved alongside civilization. What was once a beverage enjoyed by the wealthy, is now a vital aid for the modern lifestyle. Affordable and accessible with a broad range of origins, tastes and aromas – coffee is now enjoyed by billions of people worldwide for a host of individual reasons. In today’s climate of financial difficulty, many of us are working harder than ever before. With longer hours and larger work loads, having the office coffee machines close by can be our savior in the workplace. Enjoying a five minute coffee break at work can be just what we need to keep us going throughout the working day. Whenever we’re between tasks or having a mental block, we can trust a nice cup of coffee to help us get back on track again. or “Would you like to come in for coffee?” are phrases used all too often in the dating world, making coffee more than just a drink – but an activity in itself like going to the cinema or eating out. It doesn’t stop there though; coffee also brings people together for the greater good. Events like the ‘The World's Biggest Coffee Morning’ seek to get people across the world to hold a coffee morning, with donations on the day made to the Macmillan Cancer Charity. 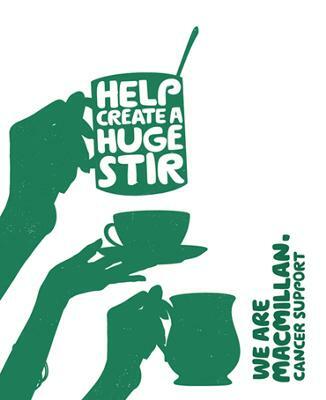 Last year 43,000 people registered to hold a coffee morning and raised £7.9 million! Finally, it has to be said that some of the best ideas come to us when we daydream over a cup of our favorite blend. Whether it’s during a trip to the coffee vending machine or getting together with friends – coffee is responsible for so much more than hydration and enjoyment. So regardless of where your coffee comes from: vending machines, kettles or coffee houses - one thing’s certain; coffee is not just a drink – it’s a lifestyle.